sub-par anime - don't get stuck having to continue to watch it. Here's how every episode goes. Saints getting beat up. Saints burn cosmo. Saints turn tables and beat up enemy. Every bone is my body is broken but I will never quit so I will burn my "cosmo" therefore giving me the ability to stand....and the guy who totally outclassed me a second ago is overpowered by my will....sure. I would ditch any high expectations when going into this show. Especially if you watched the other Saint Seiya's. The first couple episodes I was really into it and excited. The animation style is done well and the starting concept was solid enough: boy hero on an adventure to grow stronger and save the girl from the big bad guy. However, now at episode 42, this show really doesn't do anything for me. To start, the story quickly degrades into a dull, predictable affair. Most of the stalwart heroes that aren't part of the group have somehow fallen for a few deceitful words from one of the bad guys. Every fight seems to be something like "haha I'm a silver or gold saint and you are just a bronze so there's no way you can beat me." And then, of course, they are somehow proven wrong every time. You never feel like you are moving on a journey with the heroes and watching them grow; it is like the show resets itself to 0 after each episode. To contrast, in a show like DBZ you had the fighters gaining new power limits, upgrading to super saiyan, etc., while in this show for almost the entire series so far the only growing they seem to do is gaining one new attack each. The plot seems to get more and more stale, particularly towards the end of the series. The action is another let down. As said earlier, most of the fights are bronze saint vs. someone supposedly stronger than bronze saint. And then instead of a crisp fight scene you usually get the bronze saints beat up on for 15 minutes until they realize something is important to them and they manage to beat the other guy with one berserker attack. I don't think I ever felt like I watched a cool showdown of skill vs skill with fluid action and few unnecessary words, it was always some unrealistic scenario. Finally, while I know this style of anime has an inherent corny-ness to it, this show just takes it too far. The power of love and hope and protecting something is the reason the bronzes win pretty much every single time. Despite taking attacks that probably should've disintegrated them, they somehow survive and then proceed to pitch some story about how I have to do this for so and so, I have to make a brighter future, and that gives them the one outburst of strength they need. I can see this tactic working a few times believably at most, but when you make it the outcome of 99% of your fights... well I have actually caught myself laughing out loud in disbelief that they would keep repeating that style so incessantly. In conclusion, if you need something to watch and were a fan of the other Saint Seiya's, give it a chance you might end up liking it. As for me, I am 42 episodes in and could absolutely care less how the series turns out, which is the clearest indicator I have that something has failed to entertain me. Its mostly great, just have patience at the start. Yes its a bit cheesy with the whole winning each time with sheer will power, but that's how the show is, so if those reading the review, don't like shows like that, then don't watch. Its very....Power rangers with a mix of Sailor Moon type ish...especially with the transformations lol (just without the romance drama which is good imo)....however the show is enjoyable, after episode 51 it does change, I don't exactly like the new turn it took, but when the remaining Gold Saints fight a long side the bronze, it does become pretty badass. Go watch the other Saint Seiya, it's much better. The animation quality reminds me of under budget animes and the combats are all the exact same thing. There are no surprises, twists, or actual reason to care about what happens to your hero. If you repeat the beat-up hero then will super power process nothing becomes new or unexpected. Way to repetitive. First couple of episodes was what drawn me into this series, with it's awesome looking fight scene and power-up. However, yes, there's a but, it got extremely dragging. I've only gotten up to episode 16, even till this point I've gotten sick of the dancing around everytime each of the characters change into their Cloths, and got to the point of screaming to myself "Oh hurry up man" - much like a Sailor moon drag, which had taken a large chunk of each episode when it's short to begin with. The main character, Koga, is a the typical type who's made to never give up and has a certain goal in his adventure. But you'd think he'll learn his lesson from every fight not to be complacent, and recognise that logically he has no chance of beating someone who's a Gold Saint with his current power. Almost every fight the characters have encountered so far, to the point of defeat, it seems they've a habit of saying, "I can't die here", which was tiresome to hear again and again. Overall, it's an honest rating from me. I don't think I'll be carrying on watching it. It's most likely aimed at an audience of under 12. I started off skeptical and had a hard time with the first episode and all the changes but the characters are constantly developing and pulling me into the story plot. Yes it varies greatly from the saint seiya many of us loved but it has it's own unique appeal that has drawn me into waiting for every new episode. Overall ppl I've always been a huge fan of the original series and so far this new series is doing an AWSOOOOME job.....just hope it doesn't end up being a really short one though! I grew up with Saint Seiya and was excited about this! But unfortunately does not live up to my expectations.. This series does have it's bright moments, but is overshadowed by it's repetitive nature and slow paced storyline. I much preferred Saint Seiya: The Lost Canvas. Now this will have spoilers before I get into it. 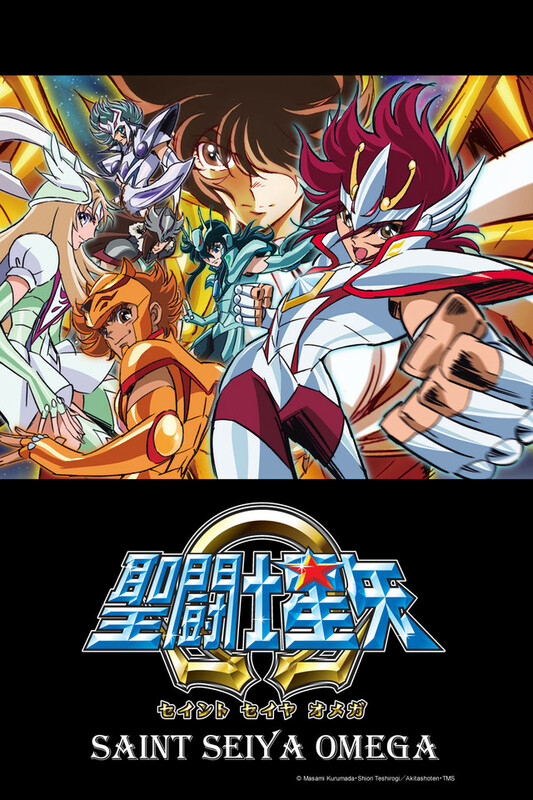 This show albeit including the name and characters of Saint Seiya I don't believe lives up to being a sequel. So before the review I recommend watching the original Saint Seiya no matter what. It will affect your viewpoint dramatically as you see this anime. I first watched Lost Canvas and was immediately enthralled by Saint Seiya and when I saw that end I looked for the next best thing that had Saint Seiya related on it. Now with this it doesn't deserve to be compared to Lost Canvas. Lost Canvas was the best I believe the sequel should be but anyway lets stay to Saint Seiya. The original had some weird saint creativity which this fixes, and personally I think makes better, but that's all it does. The original Saint Seiya didn't have the copy paste formula this has. First of all the formula: Below people other than me describe it perfectly. Bronze faces better saints, gets their body wrecked, and manages to turn the table in the end. The only good episodes is practically the first 10-15 and the last 10-15. Everything else is just development and the preach of morals(Which flop completely every episode. "I fight for myself!" Next episode: "I fight for everyone but myself!"). While the original Saint Seiya had this, the characters didn't take 12 minutes to figure them out. When they took injuries they were also serious. In this anime, a broken arm is insignificant in the next episode. In addition they added a third extra (around 30 episodes) of needless development, which they didn't need. They could've had 60 good episodes, 50 great episodes, but they went with 90 average and albeit dull episodes. I also have a grudge which was that Lost Canvas got dropped for this. Something beautiful, and full of action and character development (Which took 6 not 10 minutes to make) was dropped for a preachy, lengthy, and REPETITIVE anime that just makes references to the original. This calls itself a sequel, and if it was an offshoot would've been fine. But no, it was something sincere. That, and the only reason I give it a 3 was due to those good 10-20 episodes, nothing can fix that. Nothing can never be more true for this anime but: "All that Glitters is not Gold". This show feels very different to the original Saint Seiya. It is lighter in many ways: animation, comedy, story line, character design, etc. And unlike the original heroes, these characters have motivations different from only protecting Athena (in fact, most of them don't even know her in person...she is only a concept). As stated in another review, this show is different, but still a lot of fun... and it happens in the Saint Seiya universe with flashbacks of our beloved saints from the 80's.